Looking for the best senior portrait photographer in Little Rock Arkansas? You found her! Her name is Stephanie and she is known for her fantasy-like portraits. She makes images that are remarkable and memorable. Visit Stephanie Parsley Photography for more information or contact Stephanie by email at stephanieparsleyphotography@yahoo.com or check out her Facebook . Stephanie has been featured and involved with businesses, companies, and events such as Arkansas Bride Magazine, Arkansas Democrat Gazette, Paul Mitchell, Little Rock Fashion Week, The Wedding Post of Arkansas, Purrfectly Peacefull Paws, Zeta Tau Alpha-Fayetteville, Dimestore Diamonds, Southern Dignity and Bentley Hemingway. 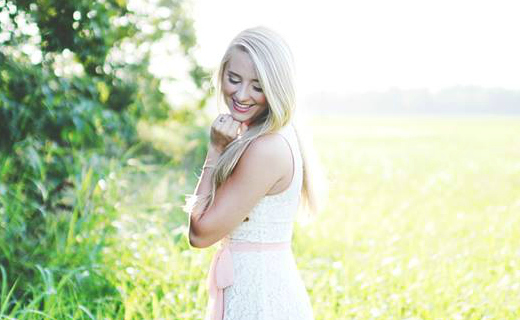 Questions and Answers about your senior portraits..
What should I wear to my senior session? Stephanie recommends visiting her website or her portfolio on Facebook to check out photos of other seniors she has photographed. In general, aim for clothes you’re most comfortable in, that fit your personality and just steer clear of clothes that are cluttered with huge logos. What type of equipment does Stephanie use? She uses a Nikon D700 and edits all of her images with PhotoShop CS5. How long does it take to get my photos? At the most, it takes 2-3 weeks, however, you’ll receive a preview of around 3 images a few days after your session. What should I expect at my session? You can expect Stephanie to spend 30 minutes to over an hour photographing you and having a really great time. Nothing you and your photographer do will ever be too “posey” because that’s just not the type of photographer she is. She loves candid shots! Stephanie will make sure your session is captured wonderfully and that you are completely satisfied. 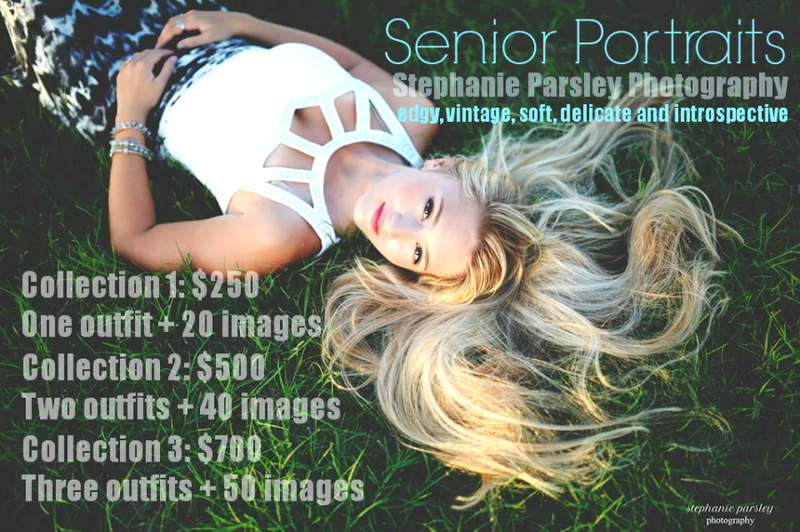 Prices are subject to change, please contact Stephanie Parsley Photography for up to date pricing. With your session, you get..